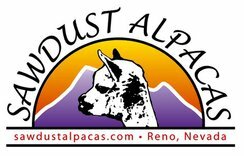 Sawdust Alpacas has finally moved from Reno to Fallon NV. All alpacas are now with us in their new home. We upgraded the land from 2 acres to 5. 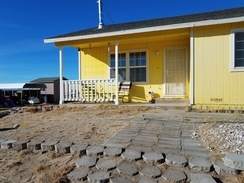 We have had to start the building process anew as we had to leave all our shelters, fencing etc with our Reno facility. 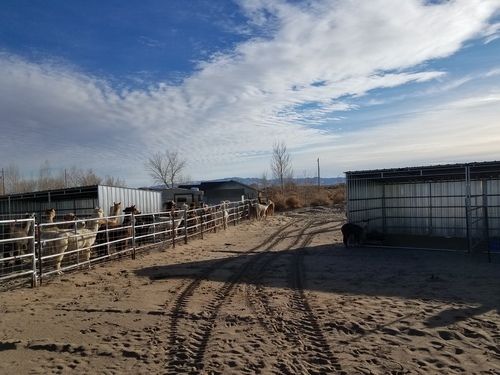 We have temporary shelters and pens for all alpacas. We will be designing new areas for them soon. Alpacas are pretty well situated right now. Wish we could say the same for the house. Lots of stuff to unpack, put up for the house side of the new property. 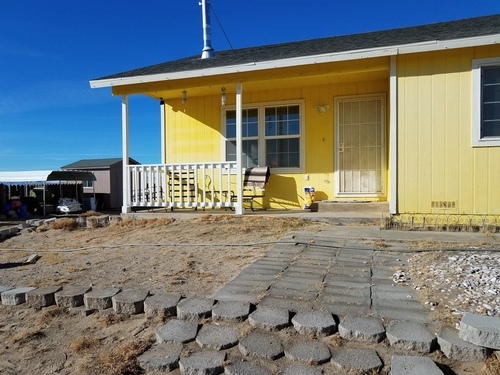 Come check us out in Fallon NV. 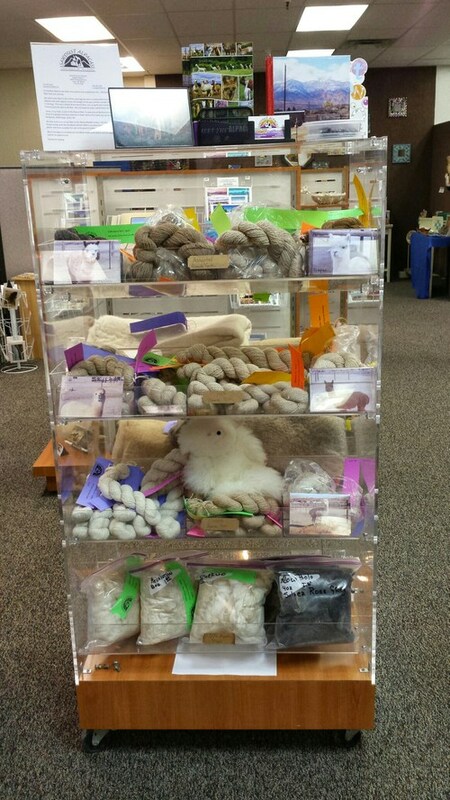 We will be have a booth at the annual Spring Fling on March 30 - 4to 7 pm and then March 31st all day at Lattin Farms. 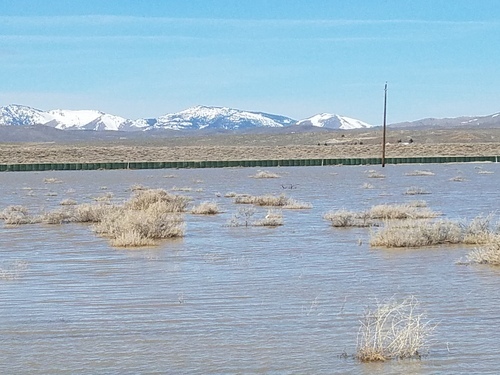 It's been a busy wet winter in the High Desert of Nevada. 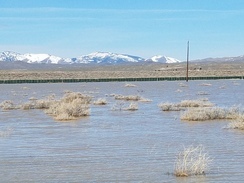 With all the snow and rain, heavy run off, and all the water pools near here at Swan Lake. It's a clay bed and holds the water forever, or until it evaporates. 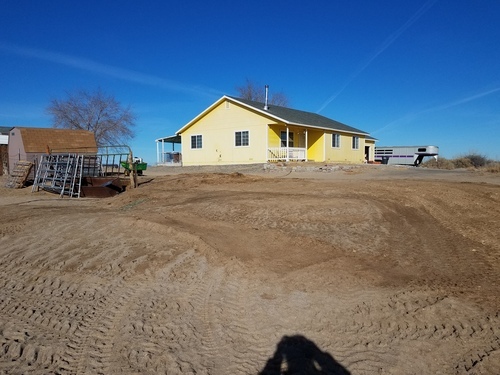 Some of our neighbors have lost their septic and water well systems. We are just outside the flood zone so we are ok for now. 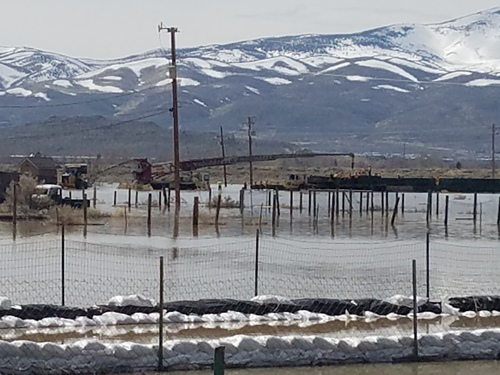 FEMA finally got involved and funding 5 miles of flood barriers around the lake bed and the contractor will be able to pump out the lo lying areas to to lake side . We had some folks that had acquired an older Alpaca with a horse as a buddy come over here for shearing. I sheared, trimmed toes and his teeth. I also found a fighting tooth that I trimmed off with OB wire. Checked for any microchip and their was none, Gave 2cc CD&t subQ for herd health. He weighed in at 220 pounds. His body score was good but we decided to cut out the grain with the grass hay. He is used as a pet and and has a very good temperament. 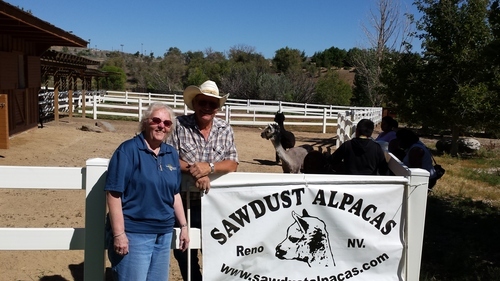 This is what we do at Sawdust Alpacas and enjoying the evening. 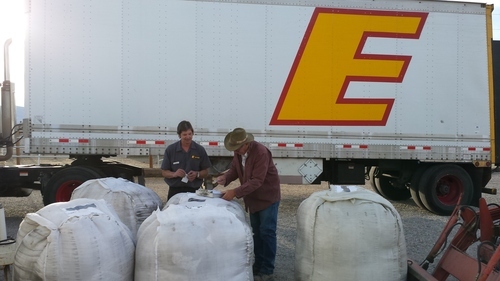 Sawdust Alpacas are very excited with the purchase of SNOW DIAMOND FELICITY, ARI # 32810820. DOB July 25,2014. She is a gorgeous Rose Grey from Sire ATV ADONNIS and Dam CRESCENT MOON'S FELICA. Both are well established alpacas and their offspring are very much sot after. ADONNIS passed away last year, sorry to say. 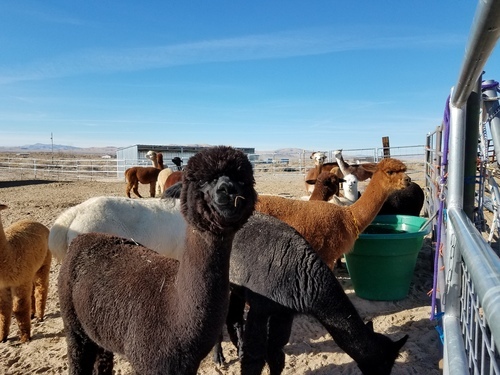 FELICITY is being bred to JOHNNY CASH owned by Snow Diamond Alpacas and his sire is THE MAN IN BLACK. SKYLINE'S ALMOND JOY, ARI# 32821666, DOB July 3, 2014. She is a beatiful Light Brown ribbon holder, brought to our ranch last year. 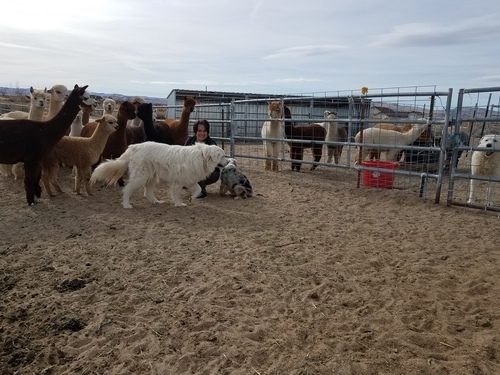 Her Sire is PATAGONIA'S CELIO and Dam SKYLINE'S PERUVIAN STAR BURST, is now being bred to GOLDEN THUNDER, also owned by Snow Diamond Alpacas. ALMOND JOY is a very personable girl. Our own SAWDUST'S JESSINIA, ARI # 35322023, DOB July 9,2014 is a True Black, Sire WAP THE BLACK MEDALLION and Dam PATAGONIA'S NOELIA. 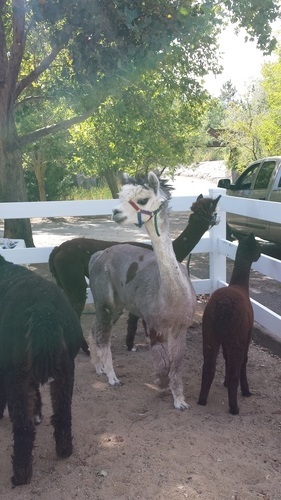 We are very proud have her at the Flying Dutchman Alpaca Ranch, Also in Bend Oregon. She is being bred to their BTW BRONZED ENVY, a very nice boy. Jessi, is a very nice girl and a Blue Ribbon holder from the 2016 Alpacapalloosa show. We were very fortunate to purchase SNOWMASS ILLUMINESCENCE , ARI # 32735864, DOB September 7, 2012. A Beige and very good girl, bred to SNOWMASS ELITE LEGEND and due this September. Can't wait to see what transpires from this breeding. 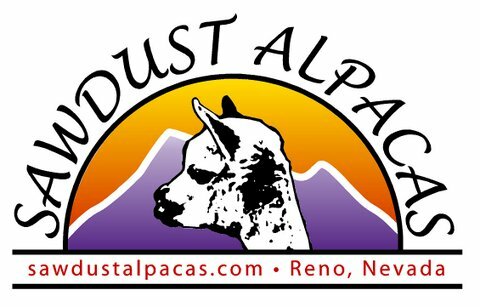 Education,Destination in Bend Oregon, will be held again at the Flying Dutchman and Crescent Moon's Alpaca Ranches this year and we will be attending the 4 day seminar. Always a good time and able to see old and new friends. We are bring home our new and pregnant girls so it will be exciting.